Whether you are looking to put on a fun Casino night for charity, as part of a corporate entertaining event, or as an addition to an organised party or wedding, we can provide everything you need. Setting up a fun casino is one way to celebrate many occasions, from stag and hen parties, to fundraising campaigns, and it can be done to your own design and on your terms. 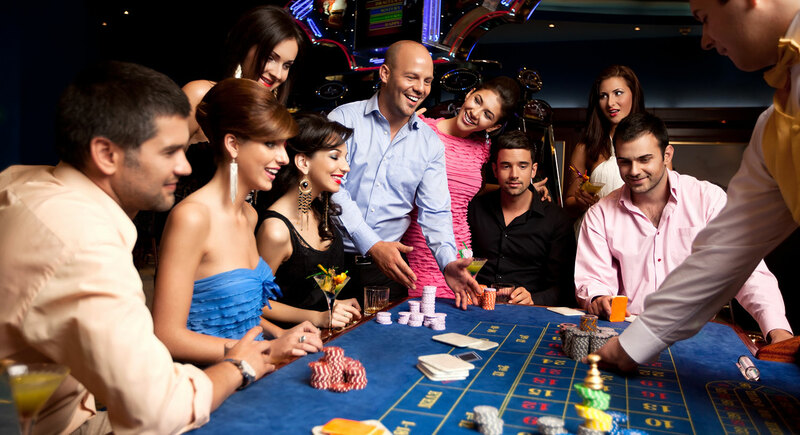 Our fun casino hire service is easy to book, and everything is provided. We do a clean and easy install fitting around your event schedule, taking care of the tables, chips, cards, and we even provide qualified croupiers to deal and take your bets. It is just as it would be at a proper casino, but with your rules in regards to dress code and so on. What better way to put on a glamorous event, than by having your own casino in the venue of your choice. At KG Entertainments, we provide fun casino hire all over the South East, mostly in and around Surrey, but also in Brighton, Dartford, and various parts of London. If you are looking to hire any of our entertainment services, then be sure to get in touch with one of our team and we can provide you with a free no-obligation quote. Have a chat with us and see just what your money will get you in terms of first class entertainment, and make a booking in advance. This service really is the business, so be sure to get in touch and see how we can make your event more memorable. for a free no-obligation quote for your party, wedding reception or corporate event, we look forward to hearing from you. With a wealth of experience in the entertainment industry, specialising in weddings, birthdays, corporate events at many hotels and venues across London and Surrey.